I can hardly believe I’m doing one of these posts again already…it truly feels like it was just the new year and now here we are, on the eve of another year starting. As always, before we go forward, I like to take a look back! Ringing in 2016 in London, England – talk about starting the year off in a dream come true! Visiting Leavesden Studios on New Year’s Day was pure magic; pun completely intended. The rest of January was fairly uneventful…but it started with a bang and ended with a blizzard; over 4 feet of snow, more than I’ve ever seen in my lifetime! The month where nothing much ever seems to happen…at least in my life. February of 2016 was filled with snow, snuggles with the puppy and copious amounts of coffee! March brought a false Spring; the Cherry Blossoms bloomed earlier than they have in some years…and then on the first day of Spring, it snowed! I made a visit to Mississippi to watch my little sister graduate from Pilot Training and was also able to catch up with some family while there. April brought about one of my favorite seasons: baseball season! Bitter cold put an end to my first game of the season but it was made up for when Katie and I saw almost two full games for the price of one as the Nationals game went sixteen innings before a Curly W! I explored more of Northern Virginia and the surrounding states; visiting hot springs in Berkeley Springs, WV and picking tulips outside DC. There was just enough time left in the month to visit the National Gallery and take in a performance of Jersey Boys at the National Theater. May was a month full to the brim with goodness! I got to spend time with my sister and we went cave diving and countryside exploring; we also watched Max Scherzer make history and throw a twenty strike-out game on May 11th! Near the end of the month, the whole family journeyed to California and I was able to see numerous landmarks from the first two years of my life, including the hospital I was born at and the beach I used to play on (now famous for it’s deadly shark attacks…) And of course – who can forget Disneyland? June brought about more Nationals baseball, crazy summer storms, time spent with family and ice cream…ice cream at home and ice cream in DC…ice cream all over! June also the start of the house and Watson taking advantage of the long summer evenings. July saw Lindsey and I celebrate July 4th at the ballpark…in the rain… however, time spent with my sister is always good time. I was back and forth to DC more in July than any other month, between Nationals games, Escape Quest with friends, a Billy Joel concert and making a work day “lunch” trip to see the Corpse Flower in bloom at the National Botanical Garden. My favorite curly headed munchkin turned two in July and my friend Danielle and I even managed to fit in an afternoon at the theater to see Sweeney Todd! August brought about a first for me – I was in my first 5K; on the hottest day of the year no less, and while I finished…it about took me out! We spent almost a whole weekend at Nationals Park; a dream come true for me, nothing but baseball almost all weekend long… My Dad managed to snag a baseball signed by none other than Max Scherzer, which may have elicited a screech heard ’round the ballpark from me. Did I mention that we also attended the second annual Stars Wars Day at Nationals Park? Lindsey came for a Labor Day weekend visit and we had a grand time sipping Starbucks, having dinner at the mountaintop, witnessing a spectacular sunset and generally just enjoying time together as a family. In the middle of the month we packed up and moved up the highway to our brand spanking new house and even months later, I still feel like I’m trying to get things organized – the joys of moving! My friend Rachel and I rounded out the month with a visit to the Pumpkin Patch with her daughter…and it seemed far too warm for late September! I spent almost a full week celebrating my birthday – starting with the final game at Nationals Park on the second and culminating in a long weekend trip to Las Vegas with my little sister. Fall colors finally started to arrive to Northern Virginia in late October and so I immediately made Watson a hat out of the aforementioned foliage; ha-ha! Halloween this year was another adventure entirely; this time my friends and I were members of Star Fleet…and even Watson got in on the fun as Mr. Spock! Life slowed down just a bit in November; I spent time with friends throughout the month and possibly…just maybe, put my Christmas tree up halfway through the month, ha-ha! Catching a special showing of White Christmas at the Alamo in the second week of November just kicked the Christmas spirit into high gear and I couldn’t contain myself! And well; that brings us to today, doesn’t it? Another year come and gone; precious memories made and stored in both my head and my heart to review and cherish for years to come. A new year approaches with nothing but possibility…a chance for anything and everything all at once. What will 2017 hold? This is it – the final Five on Friday of 2016 – can you wrap your head around that information? I went back and forth between doing five random things tumbling around in my head or recapping the first day of my short and sweet jaunt to NYC after Christmas. I ultimately decided that I’d go with the former, mostly because the latter wasn’t formatting the way I wanted and I gave up…so shall we? Perhaps this should be called Frustration on Friday? One. Princess Leia – I was raised on Star Wars; I have vivid memories of watching the original films with my parents and my Dad and I had many a “light saber” battle with empty wrapping paper tubes. Princess Leia (much like Carrie Fisher) was beautiful but also strong and could take care of herself; she didn’t need anyone to storm in and save her, she rescued herself… 2016 took some pretty memorable people, but I felt this loss the most. Four. 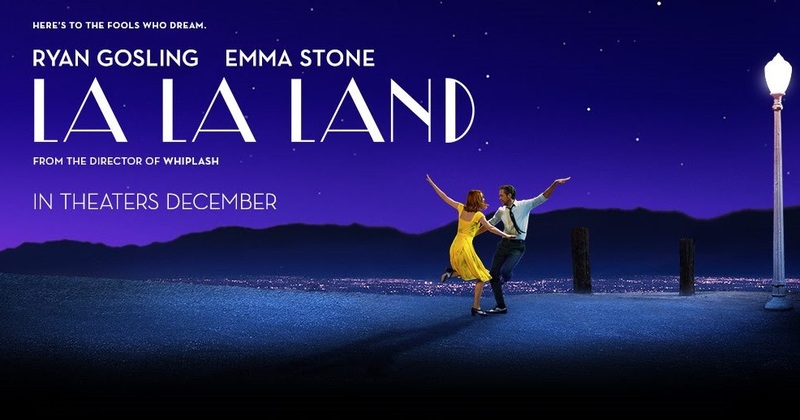 La La Land – Am I the only person that hasn’t seen La La Land yet? I have plans to remedy that as soon as possible; hopefully over the long weekend. I’ve heard nothing but rave reviews about the movie and I know Ryan Gosling and Emma Stone together is nothing but magic; heck, every time I see Crazy, Stupid, Love on TV, I end up watching…mostly because of Ryan and Emma! I cannot wait to see this movie! And – that’s all I’ve got for this final edition of Five on Friday! I’ll be back tomorrow with my 2016 in Review post and I’ll have plenty of picture filled posts about my whirlwind 48 hour visit to NYC after Christmas. I hope everyone had a lovely Christmas and I wish everyone only the happiest of New Years! Christmas has already come and gone – It’s hard to wrap my head around – but I feel this way every year after Christmas; it’s the holiday hangover, the days and weeks that build up to Christmas and then it’s here and it passes so quickly…and leaves a person with that “now what” feeling. Am I the only person who feels that way? Yes? No? The week leading up to Christmas just seems like it passed in an absolute blur! The Monday before Christmas was like Christmas itself; career Christmas if you will, my boss passed out See’s Chocolates and Visa Gift cards to everyone…before bringing us into the conference room to announce that we were all getting raises! I think we all spent the rest of the work week on Cloud Nine! And he rounded out the day by getting everyone Starbucks during the afternoon lull – Starbucks is always the perfect pick me up, you know? Hands down, it was definitely the least “Monday” Monday that I’ve had in a long time! I cleaned house on Monday night, watched Christmas movies and snuggled with my sweet puppy dog on Tuesday and Wednesday night(s)…and then Thursday was like another sort of Christmas before the actual Christmas: my little sister arrived home to stay for TWO WEEKS, my friends and I exchanged gifts at the office, and I finally…finally got to go see Rogue One! Seriously – such a wonderful day! And did I mention that my friends are THE BEST at giving gift? They are – I received a framed print of the patent for the baseball, a candle that smells (and sounds) delicious and a ticket to see Live Nation’s Game of Thrones concert in March! Seriously – I have such awesome friends! Christmas vacation got off to a much sooner start than I’d expected; my boss sent us home at 10:30 on Friday morning (Christmas Eve Eve, you know?) and so I started my week of vacation almost a full day earlier than planned – which was awesome! It meant I was able to join my family for lunch at Sweet Nola’s and also run a couple quick errands with them before spending the evening making our annual batch of Christmas sugar cookies and watching Christmas Vacation. Cajun for Christmas Eve Eve – yes please! …as is the usual with Watson, he was only interested while there was food involved. As soon as we started the movie, he was out like a light. He did perk up in time to say “hey” to our family in Mississippi – through the wonders of technology we face-timed with my Mom’s side of the family and even Watson got to waggle a paw at the family; even if he was terribly confused the whole time, ha-ha! 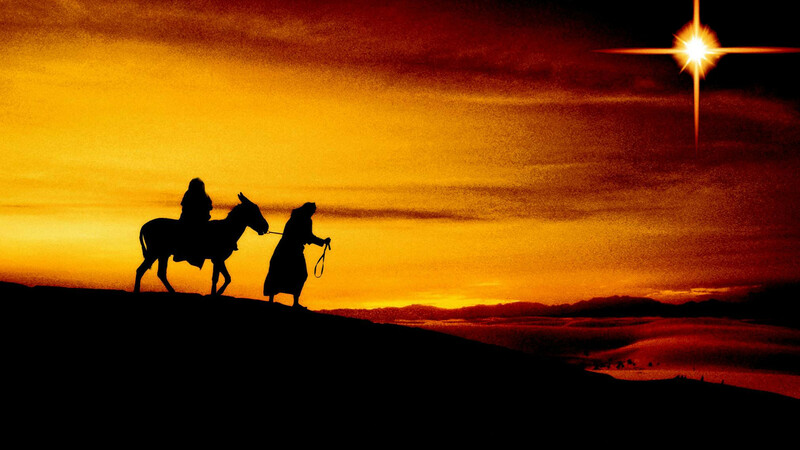 I woke up on Christmas Eve with a headache – not exactly a gift that anyone wants. We watched Home Alone because somehow, my little sister had NEVER seen it! Can you believe that nonsense? It stands the test of time (in my humble opinion) and I enjoyed it just as much as I did when I was younger. A big chunk of the day was spent cooking goodies for a little Christmas Eve get together and prepping for our Christmas Day feast…and somewhere in there I ended up taking a nap by the light of my Christmas tree in an effort to get rid of my headache. After attending a rather eventful Christmas Eve service at my parent’s church, our family friends came over to share some Christmas Eve nibbles and play a game of Exploding Kittens – so fun! We ended the evening with our traditional watching of White Christmas – easily the best Christmas movie; there is nothing quite so magical as the final scene, it just gets me right in the feels every time! My little sister and I “played Santa” and stuffed some stockings for my parents and then hit the sack! After returning from church, we had a delicious Christmas lunch and then the opening of presents began! As always, I was overly and abundantly blessed and I’m so thankful for all the wonderful gifts I received. I do think as I get older, I find it’s true that I get more excited watching my family open the gifts I’ve chosen for them…and this year was no exception. There is such joy in giving! Watson opened his present and then planted himself in between my feet for some of the unwrapping – when he wasn’t watching with slight hesitation (the sound of crumpling paper is not his favorite…) he was fast asleep in his bed, of course! Once all the presents were open, we all went for a walk – Watson’s favorite part of the day, I’m sure – and then there was some supper/snacking and football. I was in the bed shortly before 9:00 because…did I mention that we had to be up before 3 AM on the 26th to get into DC to catch our train to NYC? Oh wait – maybe I didn’t mention that part of Lindsey and I’s Christmas gift was a quick 48 hour trip to the Big Apple? Yeah – it definitely was. And it definitely meant getting up well before the crack of dawn on the 26th, so Christmas Day ended earlier than usual. One of the other gifts I am loving…or will be loving in a couple months…tickets to Nationals game(s)! Truly the gift that keeps on giving – right? Another wonderful Christmas in the books – a wonderful and blessed Christmas, spent with people (and pet) who are so precious to me! I can’t believe it’s another 361 days till we celebrate once again. 361 days and a whole new year ahead and in between – wow. Dreaming of sugar plums maybe? I’ve been in the Big Apple for the past few days; I’ll be back tomorrow with pictures & posts galore! It’s Friday – and so that means Five on Friday! Let’s do this! One. 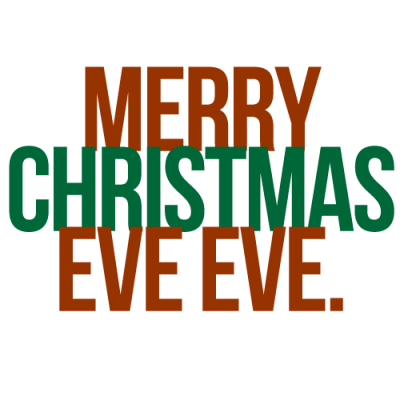 Christmas Eve Eve – That’s what today is; were you aware of that? I’m sure my family isn’t the only family that has nicknamed the day before the day before Christmas, right? My family doesn’t have any “major” plans for Christmas Eve Eve…just making our annual batch of delicious sugar cookies and watching a Christmas movie; but I know it will be lovely because I’ll be spending time with my family! Two. 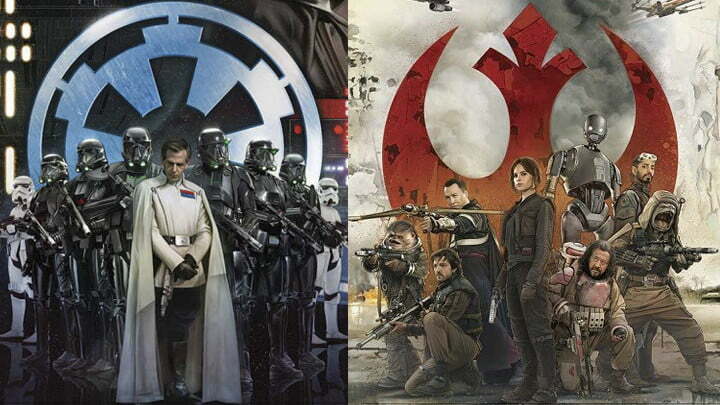 Rogue One: A Star Wars Story – I finally saw it! I’d been waiting for my little sister to get home for the Holidays and last night, the whole family went over to the Alamo and saw Rogue One – and it was great! I’m not sure where it would rank if I had to put it on a scale…but so, so very good! Definitely worth checking out in the theater if you get the chance! Three. Christmas Cookies – A tradition at our house; we always make iced sugar cookies every year. I’m not sure exactly when the tradition started but I can’t remember a Christmas when our family hasn’t made cookies. We’ll be making our annual batch tonight and I can’t wait. Four. Christmas Movies – Which I’ve already dedicated a whole post to…but I’ve been saving some of my favorites to watch with my people on these last couple days before Christmas! We’ll be watching Christmas Vacation tonight while we do our annual cookie decorating and we always watch White Christmas on Christmas Eve…and somewhere in there we’ll squeeze in the classic, A Charlie Brown Christmas! Five. 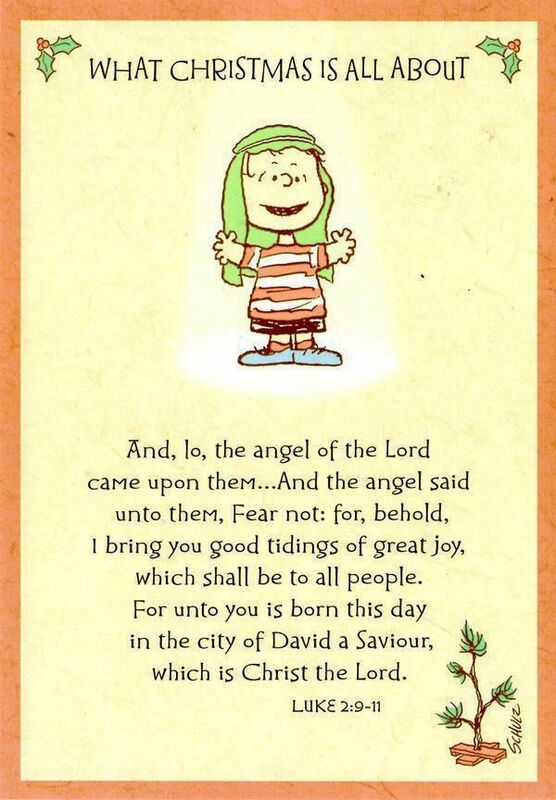 The Reason for the Season! That a year ago…I’d never had Christmas Tea at the Dorchester…I’d never followed the Royal Guards along the Mews to Buckingham Palace…I’d never watched the London Eye, lit in red and blue, slowly revolving in the night sky…I’d never knocked on Sherlock Holmes’ door…I’d never stared in awe at Westminster Abbey…and I’d never heard the chimes of Big Ben. Just a year ago…I hadn’t seen movie magic before my very eyes…moving staircases, floating candles, a scarlet steam engine that carries you away to another world…and a castle that took my breath away; even though it was a completely different kind of castle…in short, I hadn’t stepped inside the world of Harry Potter. It’s hard to believe – because just a year ago, I hadn’t yet been to London.